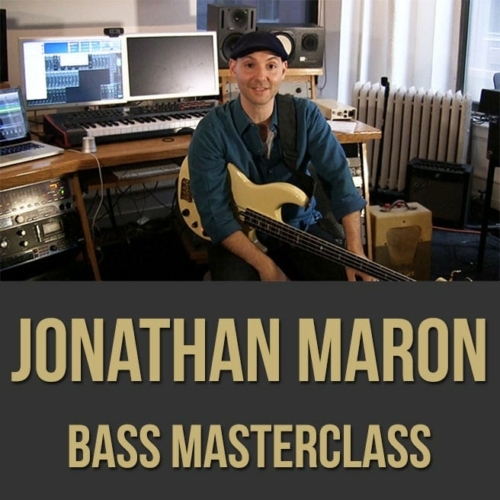 Jonathan Maron is a Grammy-nominated electric bassist, composer and producer. Maron’s unique approach, propulsive basslines and big sound travel with him always, regardless of the musical setting. Early in his career, Jonathan co-founded New York’s now legendary Groove Collective, a band that has toured internationally, released eight albums including their Grammy-nominated, “People People Music Music.” The band’s dance-floor blend of afro-cuban rhythms, jazz, funk and house music has provided a perfect showcase for Maron’s playing and writing. With other artists, Jonathan can be heard on almost 200 records ranging widely in style, including Maxwell’s platinum selling “Ascenscion (Don’t Ever Wonder).” Maron has also performed with Meshell Ndegeocello, Tupac Shakur, Shujaat Khan, Jewel, India.Arie, Thalia, Anoushka Shankar, and Kurt Rosenwinkel, among many others.